I spent the day in Autumn sunshine at Ashness Bridge. 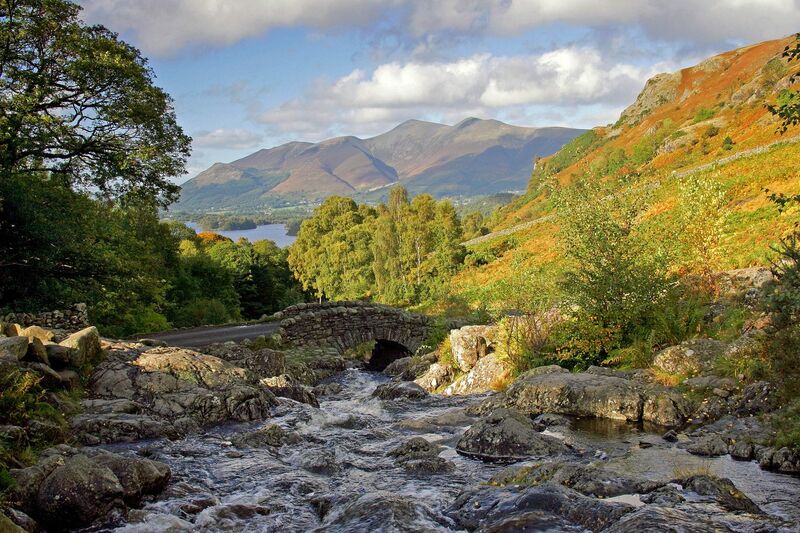 It's an old packhorse bridge and one of the English Lake District's most iconic views. It's very busy as it's just off the Borrowdale road quite close to Keswick and on the road to Watendlath. You can see Skiddaw and Derwentwater in the background.